Editors are an English rock band, formed in 2002 in Birmingham. Previously known as Pilot, The Pride and Snowfield, the band currently consists of Tom Smith (lead vocals, guitar, piano), Russell Leetch (bass guitar, synthesizer, backing vocals), Ed Lay (drums, percussion, backing vocals), Justin Lockey (lead guitar), and Elliott Williams (keys, synthesizers, guitars, and backing vocals). Editors have so far released two platinum studio albums, and six in total, with several million combined sales. Their debut album The Back Room was released in 2005. It contained the hits „Munich” and „Blood” and the following year received a Mercury Prize nomination. Their follow-up album An End Has a Start went to number 1 in the UK Album Chart in June 2007 and earned the band a Brit Awards nomination for best British Band. It also spawned another Top 10 hit single, „Smokers Outside the Hospital Doors”. The band’s third album, In This Light and on This Evening, was released in October 2009 and went straight to number 1 in the UK Album Chart. The band released their fourth studio album, The Weight of Your Love, in July 2013, followed by self-produced In Dream in October 2015. 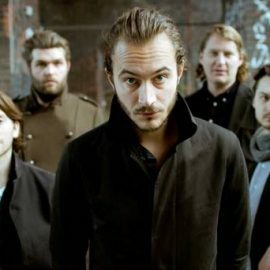 Alongside their critical acclaim and strong success in the charts, Editors have consistently enjoyed sold-out tours and numerous headlining festival slots. Their brand of dark indie rock is commonly compared to the sound of bands such as Echo & the Bunnymen, Joy Division, Interpol, The Chameleons and U2.